The Last Word and the Queens Jazz OverGround invite you to a night of music featuring J. Walter Hawkes. 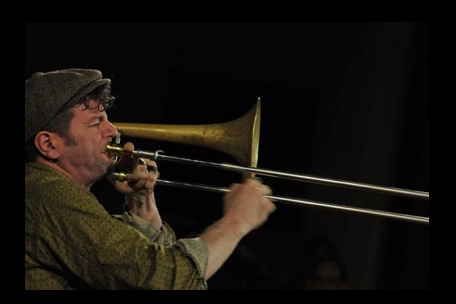 Originally from Pascagoula, MS, three time Emmy Award winning composer/trombonist/ukulele player J. Walter Hawkes has been an busy performer, composer, and arranger/orchestrator in NYC for over fifteen years. He has performed with some people you’ve probably heard of (Norah Jones, Elvis Costello, John Lithgow), and many more you probably haven’t. The band will feature J. Walter Hawkes – trombone, Andrew Hall – bass, and Eric Halvorson – drums. Brave the cold and come out because it’s going to be hot! !